The skin on the rear of the neck is supplied segmentally by cutaneous nerves, originated from dorsal rami of C2, C3 and C4 spinal nerves. The skin on the front and side of the neck on every side is supplied by 4 cutaneous nerves originated from ventral rami of C2 to C4 spinal nerves via branches of the cervical plexus. Great auricular nerve (C2 and C3). 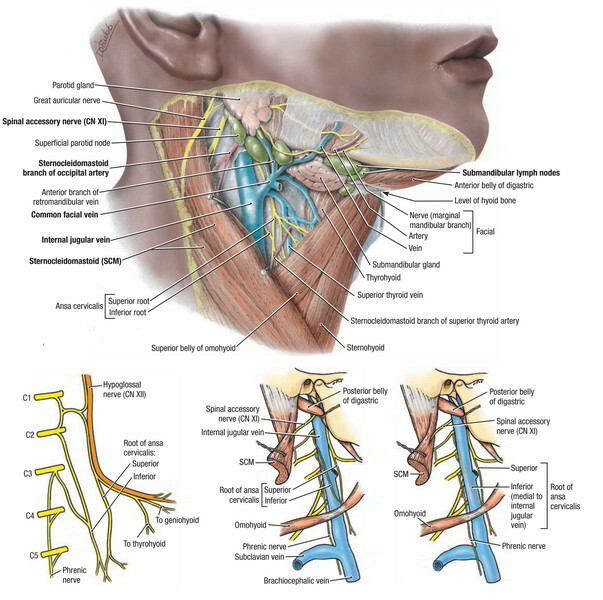 Transverse cervical nerve (C2 and C3). 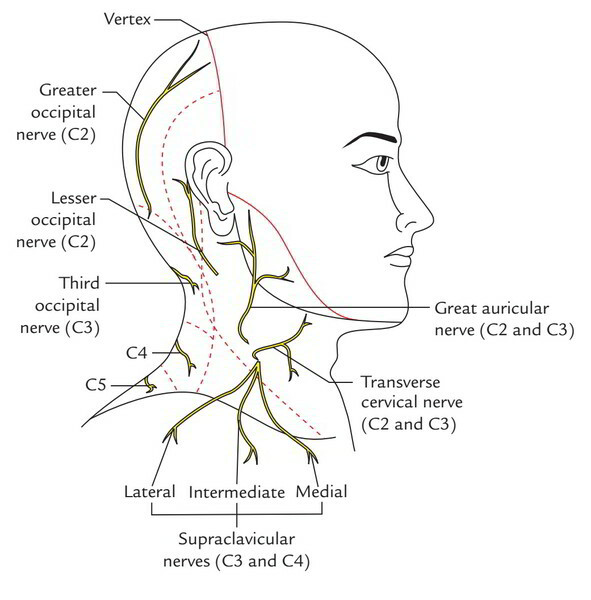 Supraclavicular nerves (C3 and C4).